Talemaps are interactive, 3-dimensional maps that you can view in Google Maps or download and edit in Google Earth. Talemaps give you plenty of information about a trip and enable you to plan your adventure as you like. Check the distances and elevations, select your pace and make a schedule. You can easily modify the route to fit your time available. When you finished, save the path and load it on your GPS device to guide you throughout the trip. Available talemaps are listed below. You can also sign up and receive the link for the folder and a notification every time a new map has been made. A three-day hiking tour from Bergen up to the peak of the Gullfjellet and back. Two multi-day cycling tours in Switzerland crossing both large mountain ranges and visiting both large lakes. The travel plan of the first summer of my 18 month long Antarctic employment by the British Antarctic Survey. Two instrument installation day-trip flights from the Rothera station to the Larsen ice-shelf with a Twin Otter in frame of the British Antarctic Survey field operations. 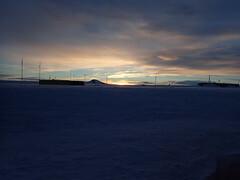 A three day journey by plane from Rothera station trough Sky Blu runway to Berkner south depot in frame of the British Antarctic Survey field operations. 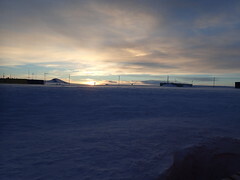 A week on the Foundation ice-stream, living in the small camp of Jonny Cash depot and visiting GPS sites to be serviced.